At Home Fitness is proud to have the best selection of treadmills in Arizona, as well as the most experienced sales staff to help you find the right machine. Our dedicated, trained fitness associates can educate you on the best equipment to fit your workout needs and space, as well as your budget. Our expert service department can assist with any questions or problems that might arise in the years after your purchase. 3G Cardio – It is possible to get the best of both worlds when it comes to a treadmill for your home gym: value and quality. Based out of Phoenix, Ariz., the designers at 3G Cardio build their treadmills the way most people would: They provide everything you need, and nothing you don’t. The emphasis is on superior function of the treadmill, not on fancy electronic “extras” that you can add yourself for a lot less cost by hooking up an iPad or smart phone. 3G Cardio is a health and fitness equipment company led by owners with more than fifty years of experience in the specialty fitness industry. They produce award-winning vibration training machines and treadmills that are carried by fitness equipment retail stores all over the country. 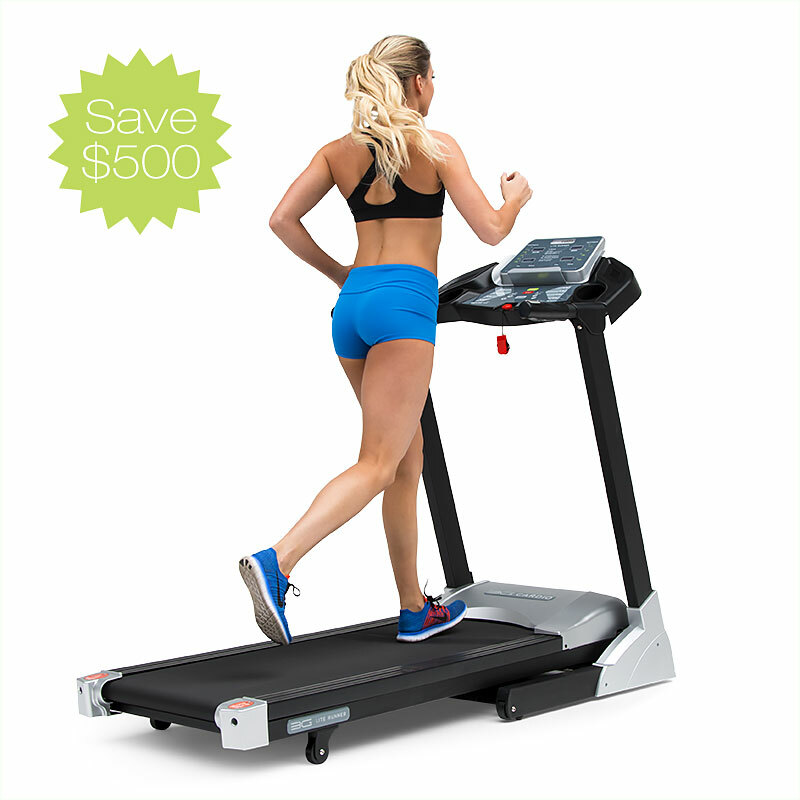 The 3G Cardio Pro Runner Treadmill (MSRP $2,499) has high quality components such as an Ortho Flex Shock™ belt and a 3.0 HP motor. It’s a high end treadmill at the fraction of the cost of competitors. The 3G Cardio company states that their experience has helped them, “Design and manufacture fitness equipment that will always outperform our clients’ expectations, as well as a business model that delivers the best equipment, the best prices, and the best client service and support in the industry.” 3G Cardio treadmills have received numerous “best buy” awards for the treadmills and vibration machines. The list of 3G Cardio awards includes being named “2016 Treadmill Brand of the Year” by The Fit Prof, five-star ratings from Amazon.com and many other honors. ASICS shoe company has opened 57 new high-end shoe stores across the USA and has chosen the 3G Cardio Elite Treadmill as their “in-store” treadmill for testing and analyzing customers running style to help them select the proper running / walking shoe. Three of the top models from 3G Cardio are the Lite Runner ($999), 80i Fold Flat (Fit Prof Best Treadmill under $2,000), Pro Runner (Best Treadmill under $2,500-tied) and Elite Runner (Best Treadmill under $4,000). BH Fitness – BH Fitness carries an award-winning line of residential and commercial products, offering the latest technologies and features at value prices. Often costing far less than competitive models, their Signature Series is a great fit for home use. As part of their premium commercial line, the SK line is like no other treadmill in the market. With automotive grade paints on both plastics and steel parts, sleek styling, and uncompromising components, the new SK8900 will set the new standard of what a treadmill should be. * Scottsdale – 6969 E. Shea Blvd, Scottsdale, AZ 85254 (480-951-6951). For Commercial Sales call 888-351-6951, the Service Department can be reached at 480-940-1022 or email Support@AtHomeFitness.com.